This article provided by: Davis Hill, PSU PAgricultural Rescue Training Program Manager. UNIVERSITY PARK, Pa. — A recent death and serious injury resulting from gases inside a Lancaster County silo are grim reminders to those working and living on farms that gases produced during the fermentation process can be deadly, according to a farm safety expert in Penn State’s College of Agricultural Sciences. Emergency responders also should be ready to deal with silo gas emergencies, warned Davis Hill, senior extension associate in agricultural and biological engineering, because corn silage harvest is in full swing around Pennsylvania and the Northeast. The conversion of plant material to fermented feed progresses through four phases of fermentation, and this process normally is completed within 21 days. The first phase usually lasts from several hours to a full day and is a time when the plant is still respiring (breathing), producing a large amount of carbon dioxide. This carbon dioxide, Hill explained, actually displaces, or uses up, any oxygen that is trapped in the pile of silage. During this phase, being inside the silo is extremely dangerous due to low oxygen levels. Once the oxygen within the pile of silage is used up, bacteria grow and multiply. These bacteria work to convert the sugars within the plant material to acids. This is the second phase of fermentation, and it usually lasts for one to two days. Based on this information, farmers need to take precautions if they feel they have to enter the silo during the two- to three-week period after filling. Hill strongly recommends not going in. The low oxygen levels and high nitrogen gas levels can overcome a worker immediately. Another reason farmers go into the silo during this fermentation period is to hand feed some of the silage. But that practice is especially dangerous because of the large amount of gases released as one digs up forkfuls of the material to throw down the unloading chute. If farmers must enter, Hill advised, they should be sure to run the silo blower for at least 30 minutes before entry and during the time they are inside the silo performing their task. The silo blower will be effective at clearing any gases inside the silo and on the silo surface only if there is 15 feet or less of headspace inside the silo. If silos have more than 15 feet of headspace, he warned, farmers should not trust the silo blower to provide a gas-free space in which to work. 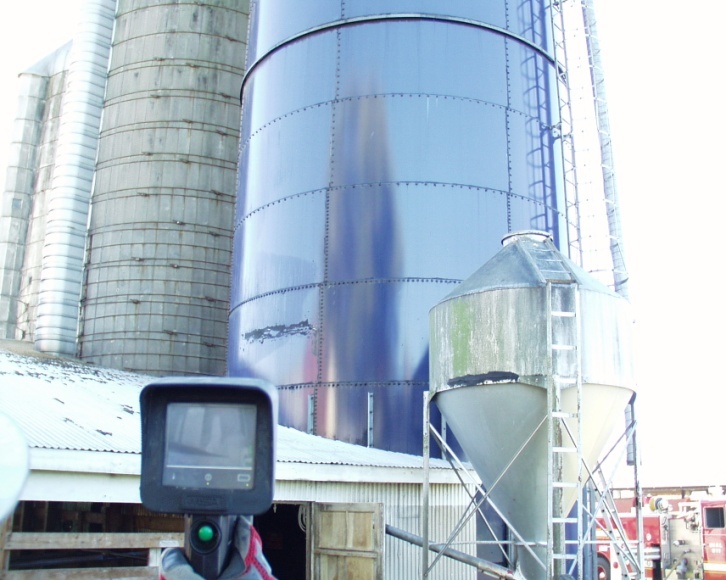 “If co-workers or family members discover a person lying unresponsive on the silo surface, they must not enter the silo to try to assist — they have to assume that silo gas is present and this condition also can render them helpless. They should make sure the silo blower is running and call 9-1-1,” Hill said. Farmers should talk to their family members and employees about the dangers of silo gas each year. Detailed information can be found on the Penn State Extension Agricultural Safety and Health website. 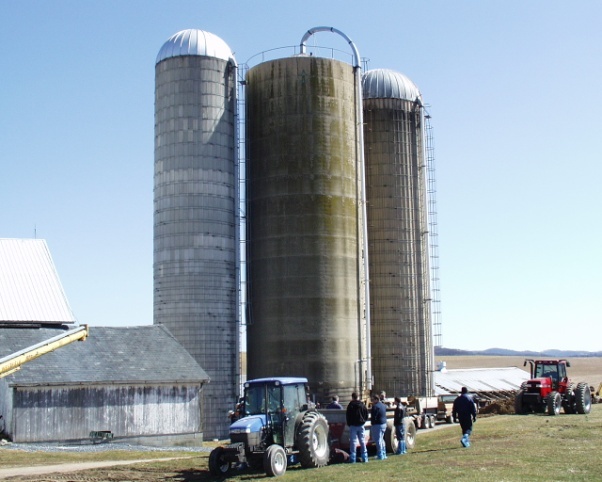 For more information about silo gas, farm rescue strategies regarding silo fire or silo fire response training for fire departments, contact Dave Hill at the Pennsylvania State University at (814) 865-2808 during working hours or (814) 404-5441 after hours. The website www.farmemergencies.psu.edu has an excellent resource for fire companies to use in managing silo fires.